On June 17 of this year (2014), US House Representative, Steve Stockman, introduced Bill HR 4883 “to provide for the establishment of a National Rare-Earth Refinery Cooperative, and for other purposes. The Bill was referred to the House Committee on Armed Services. The Bill intends to reduce the United States’ reliance on Chinese rare earths by encouraging an increase in US production by facilitating the processing of thorium-bearing rare-earth concentrates as residual unprocessed and unrefined ores. The general point of the law is to encourage the US defense department to purchase rare earth minerals from domestic sources. 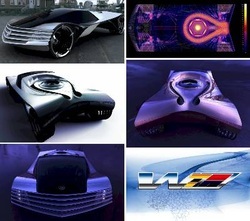 Atomic Car Revisited: Thorium Could Power A Vehicle for 100 Years? Thorium is a naturally occurring radioactive element. It was discovered in 1828 by a Norwegian mineralogist and identified by a Swedish chemist, who then named it after the Norse god, Thor.